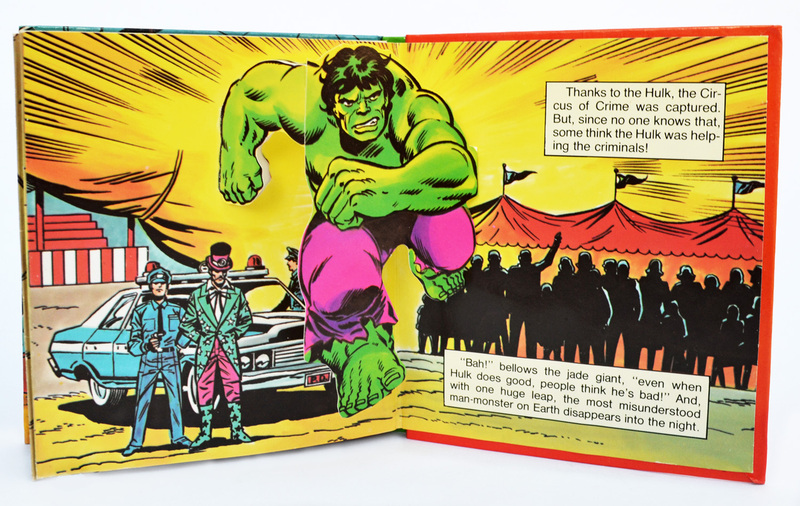 Piccolo’s The Incredible Hulk: “Circus of Crime!” pop-up book (1983) | 'TAIN'T THE MEAT… IT'S THE HUMANITY! Time for another trip to the TTM Vault of Comic Book tat Nostalgia. 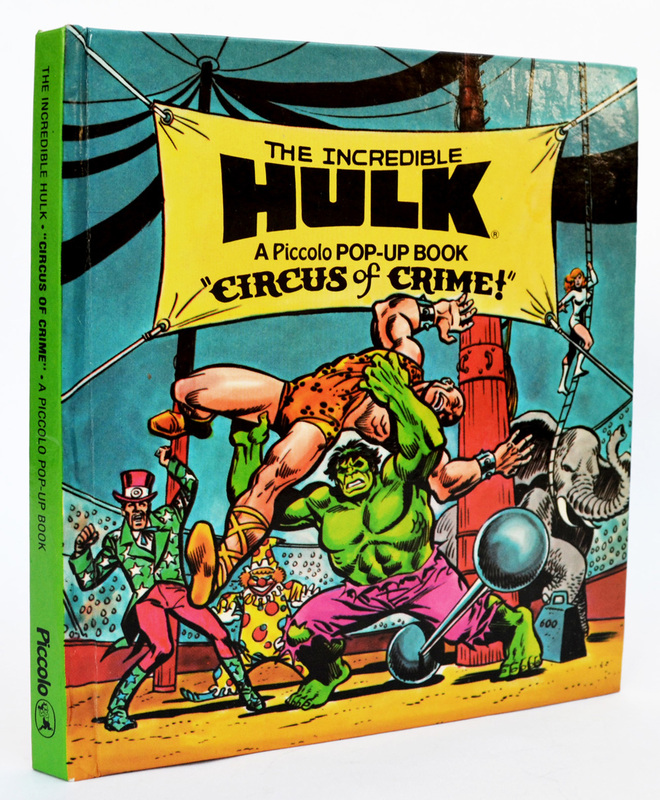 Published in 1983 The Incredible Hulk: “Circus of Crime!” was the second pop-up book published by Piccolo to feature Marvel Comics’ green behemoth. 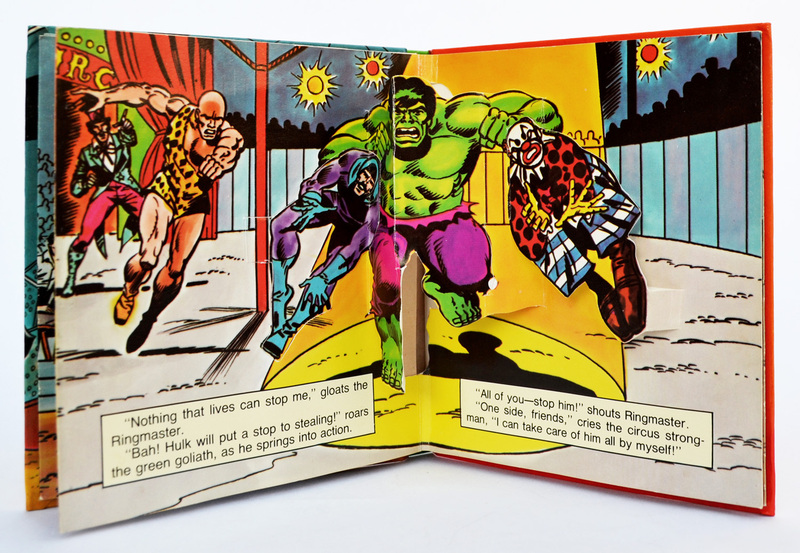 As with the first pop-up book to feature the character (click here) this edition featured a short story depicting The Hulk in battle with one of his comic book foes. This time it’s the turn of the devilish Ringmaster and his circus of crooks, with the book utilising pop-ups to enhance the story. The book ran to 14 pages, was printed in hardback and the UK edition sold for £1.50 (not a insignificant amount in 1983). 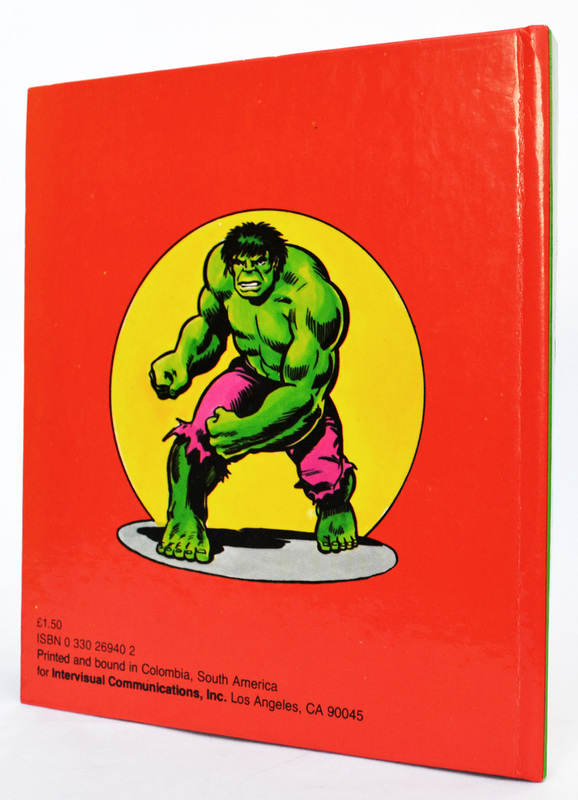 Sadly Piccolo made some changes to the format after the release of the original Hulk pop-up book. First off this edition measures only 5.5 x 6 inches, about half the size of the first book. Apart from the inevitable loss of impact to the illustrations the smaller size left no space for any pull ‘tabs’ that would have helped enhance the story. The extra two pages are welcome but the loss of the tabs is a shame. 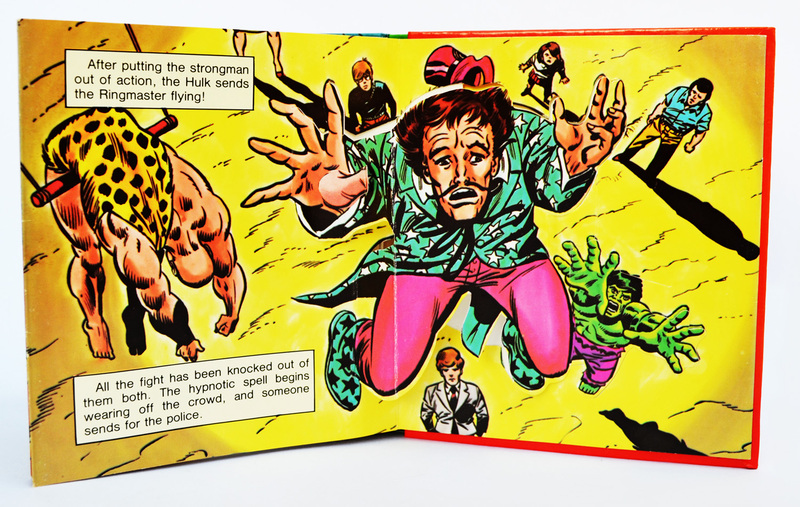 “Circus of Crime!” was produced with the help of some Marvel Comics regulars, including Hulk artist Herb Trimpe, Marie Severin, Mike Esposito and John Romita, while the pop-ups were engineered by Guillermo Rozo who also worked on the second Spider-Man pop-up book “Attack of The Tarantula!“. 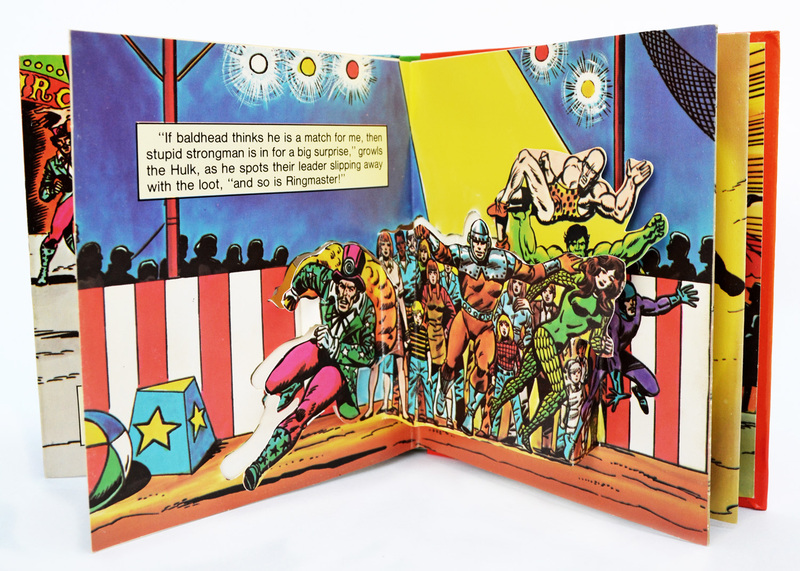 Paper engineer Rozo does what he can with the book’s smaller size, this spread for instance features The Hulk swinging from left the right when the pages are opened. All told though the pop-ups in “Circus of Crime!” are pretty crap. The book is just too small for them to really stand up from the page and many don’t pop out at all. The story concludes with The Hulk leaping away after apprehending the crooks. This spread features the book’s one and only really decent pop-up. 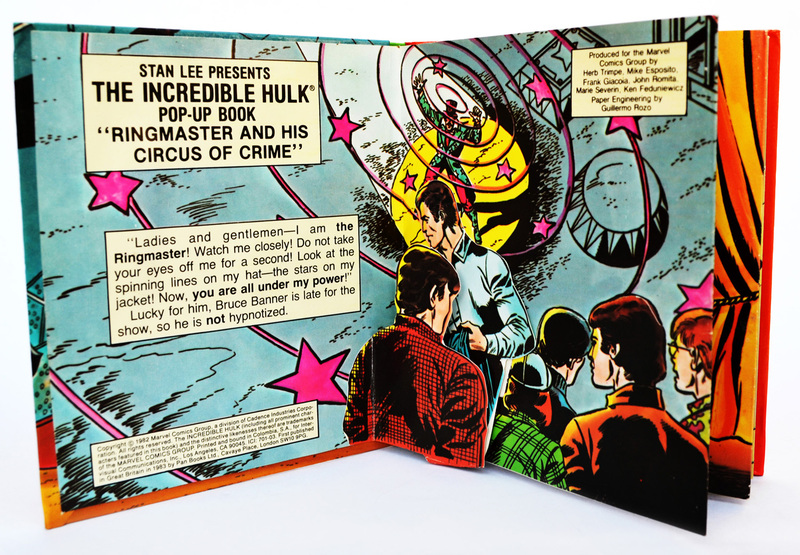 Unlike the first pop-up book featuring The Hulk, which changes hands on ebay for upward of £20, “Circus of Crime!” isn’t worth anywhere near as much. It’s not difficult to see why! 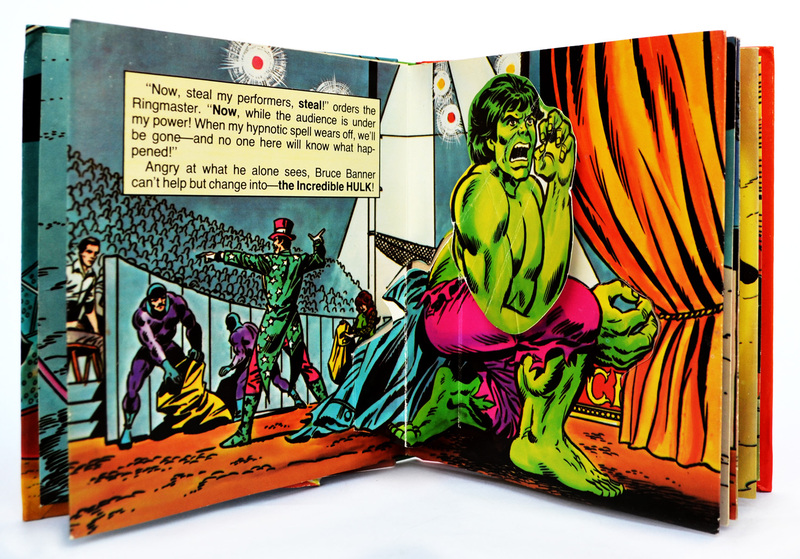 There was one more pop-up book published by Piccolo to feature The Hulk – “Trapped” – also published in 1983. If I came across it I’ll post up some images.